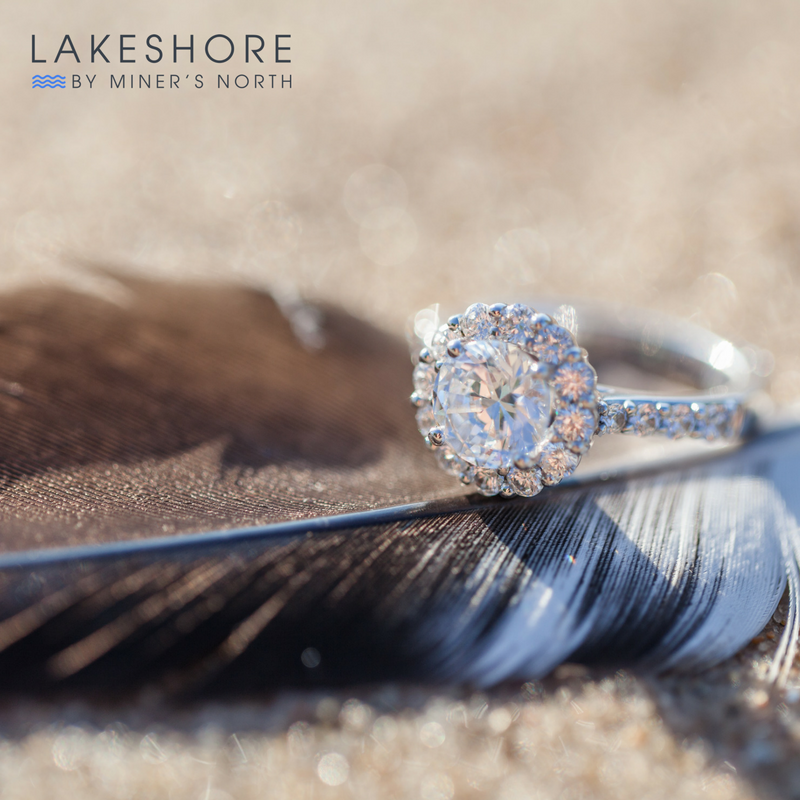 Two things we love at Miner's North are diamonds and the beautiful fresh water of Northern Michigan. 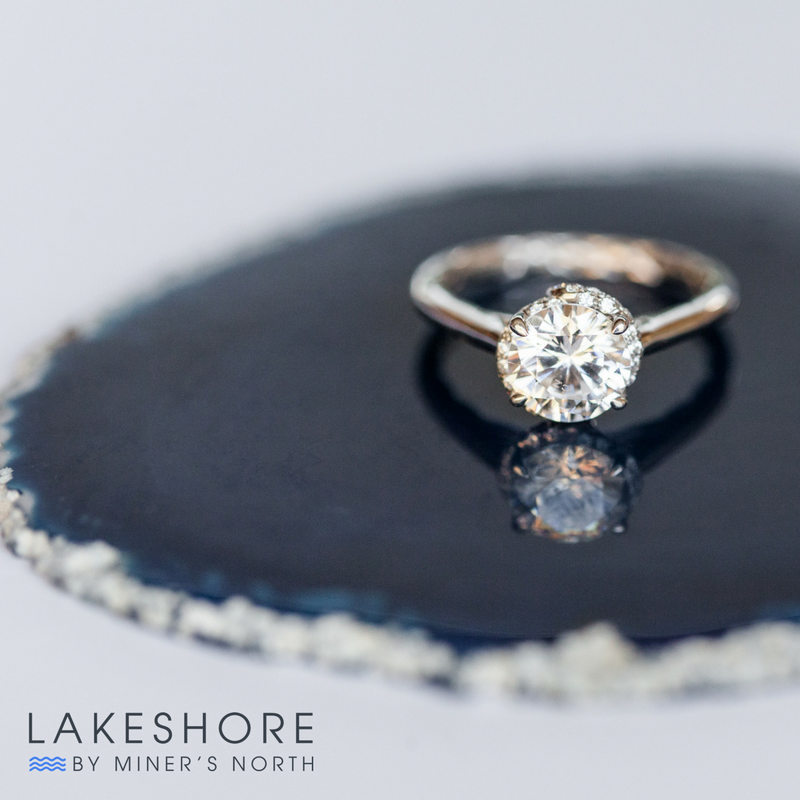 Our signature Lakeshore Diamond brings both of those loves together. There are no two diamonds in the world that are exactly the same and because of this we believe you must see a diamond in person before you buy it. The Lakeshore Diamond is different than any diamond you will ever see and in our opinion the most beautiful diamond on the market and the also the best bang for your buck. At Miner's North we believe the most important quality in a diamond is the cut. The cut determines the brilliance, fire, and sparkle that catches your eye from accross the room. In our opinion the other 3 C's, Carat, Color, and Clarity are subjective and come down to personal preference. Most round brilliant diamonds have 58 facets, which are the angles on a diamond that reflect the light. The Lakeshore Diamond has 108 facets, which gives it a combination of fire and brilliance like no other diamond in the world. 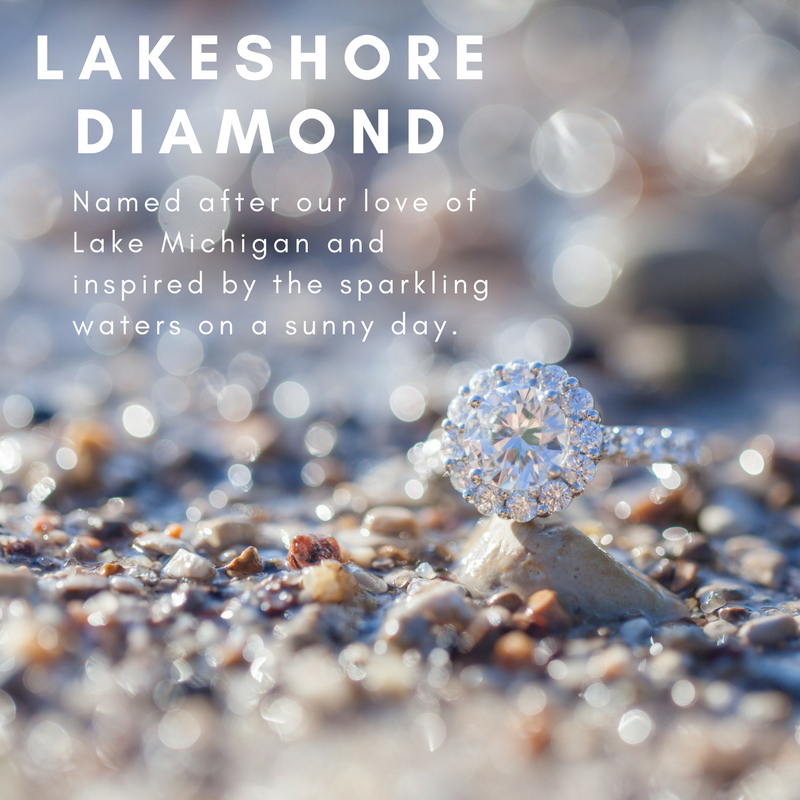 The Lakeshore Diamond name comes from the inspiration we get from spending time on Lake Michigan and all of the beautiful inland lakes. 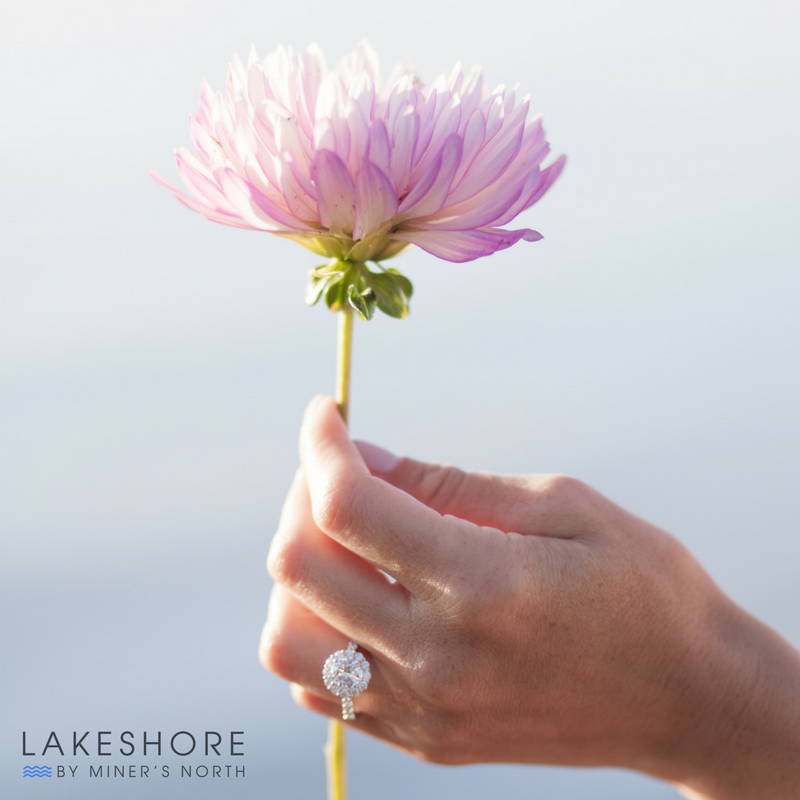 All of our Lakeshore Diamonds are responsibly sourced and our supplies follow the Kimberly Process Certification Scheme (KPCS). The process was established in 2003 to prevent "conflict diamonds" from entering the rough diamond market. 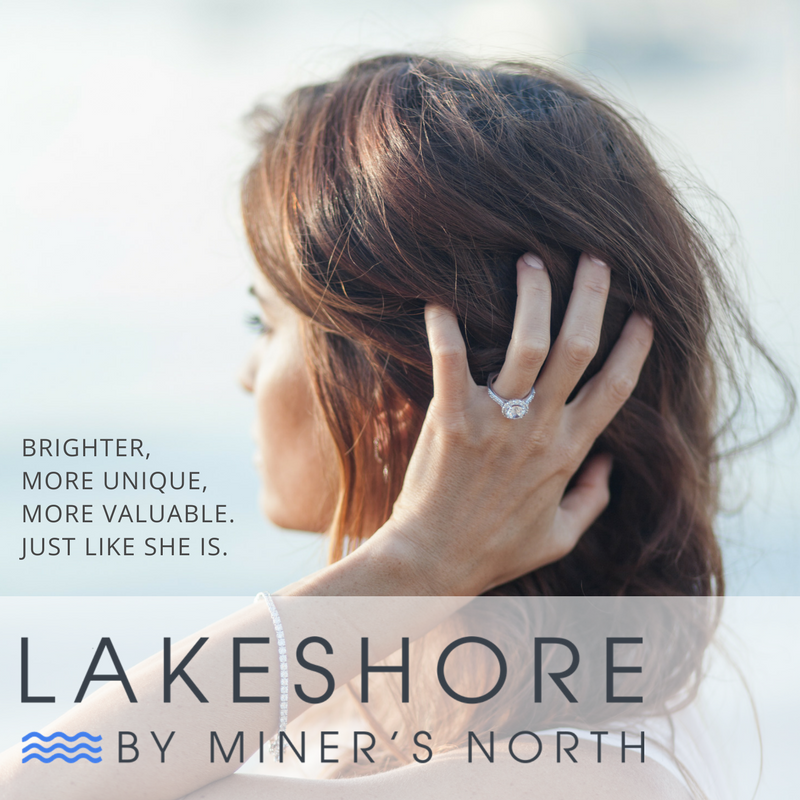 With each Lakeshore Diamond you will get a Miner's North appraisal with grading based on GIA Standards. There’s nothing like being on one of the cleanest and clearest fresh water lakes in the world and seeing the sun shine down, creating a glistening aura of spectral colors. That same feeling shines through when you look at the Lakeshore Diamond.